The search launched last September for the next Santa Clara University president was far-reaching. 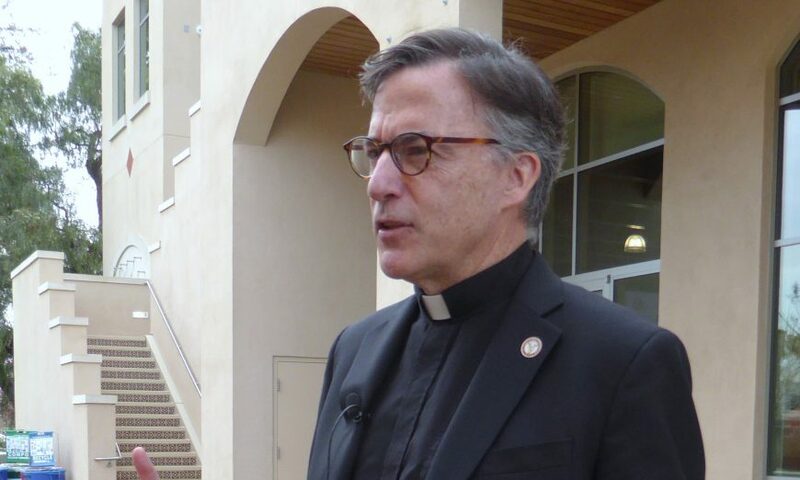 Yet in the end, Santa Clara University had only to reach across San Francisco Bay to Berkeley to find just the right Jesuit priest for the prestigious post. 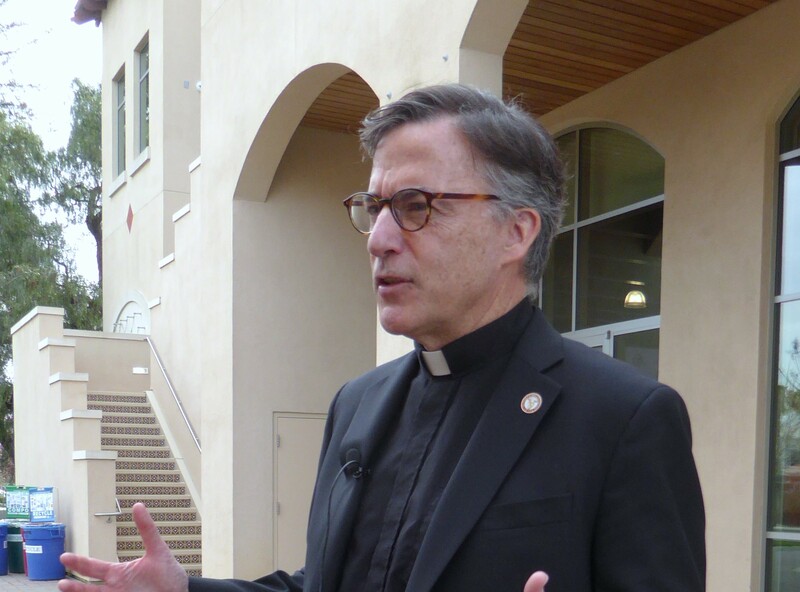 Kevin O’Brien, S.J., dean of Santa Clara University’s Jesuit School of Theology in Berkeley since 2016, was chosen to be the university’s 29th president, starting July 1. He is a theologian, educator, administrator, author and former lawyer. He is also an American immigrant. Now a U.S. citizen, O’Brien, 52, was born in Montreal, Quebec. He moved to Florida with his family of five when he was four. “We are delighted to have chosen Fr. O’Brien from a rich field of Jesuit leaders to guide Santa Clara University as it embarks on a new phase of growth, educational excellence and accessibility, and innovation,” announced John M. Sobrato, board of trustee chair and search committee chair. The new phase of growth is possible through a $1 billion fundraising campaign launched publicly in January — Innovating with a Mission: The Campaign for Santa Clara University (SCU). O’Brien’s pathway to presidency was circuitous. He attended law school at the University of Florida and practiced corporate litigation for two years before switching to a career in teaching at a Catholic high school in Florida. In 1996, he changed course again, joining the Society of Jesus. He earned two master’s degrees and taught at university level before he was ordained to the priesthood in 2006. Next, O’Brien served as an associate pastor of a Catholic church in Washington, D.C. He began working at Georgetown University in 2008, serving as a professor and administrator for eight years before coming to California. O’Brien will succeed Michael Engh, S.J., who has served as the university’s president since 2009. “The goal of the search committee was to find an individual who will lead the university to new levels of success while building on Fr. 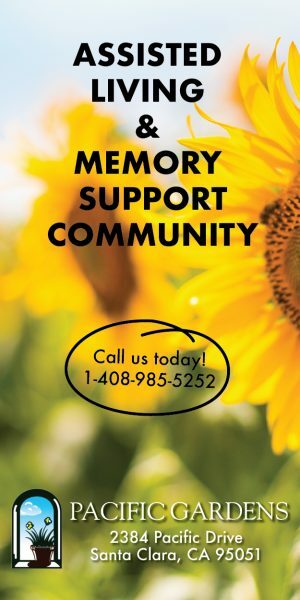 Engh’s legacy,” said SCU Interim Provost Lisa A. Kloppenberg. Eng’s legacy includes a close working relationship with the City of Santa Clara. O’Brien also recognizes the importance of a good relationship between the university and the City. O’Brien’s selection as 29th president was announced to the university and public on campus at Locatelli Student Activity Center on March 19. It was live streamed on their Facebook. March 19 is SCU Founders Day, the day in 1851 that Santa Clara Mission was transferred from the Franciscan Order to the Society of Jesus. Then called Santa Clara College, SCU is the first college of higher learning in California, which was admitted to the Union on September 9, 1850. O’Brien is author of The Ignatian Adventure: Experiencing the Spiritual Exercises of Saint Ignatius in Daily Life. “The Spiritual Exercises of St. Ignatius ends with a simple observation: If we are grateful for all that we have been given, then the most natural response is to want to give back,” said O’Brien in remarks on March 19, reflecting the university’s faith-based, core values of ethics and social justice.